you did not install the required mods, cofhlib and chisel are required to start. All other mods listed in the thread are optional, but recommended for survival play. Then you didn't put them in the correct mods folder, or forge is not correctly started. Optifine is a bad thing with mods, likely causing problems. i tried without optifine still doesnt work yet any ideas or suggestions i should try out ? Post the crash log, or does nothing show up? If nothing shows up, you don't have a valid forge installation, or not copied the mods in the correct folder. I have Chisel and CoFHLib both installed with the right version but it still crashed when i opened a new world. Help? That crash does not directly hint at techguns. I don't know what causes this. The Chemical thingy does not work, i have thermal expansion for the power generator but when i put in the stuff it says it needs a liquid(lava and water) and i put liquid everywhere, i even used the tanks of liquid from all the mods i know about. I use the chemical laboratory all the time. 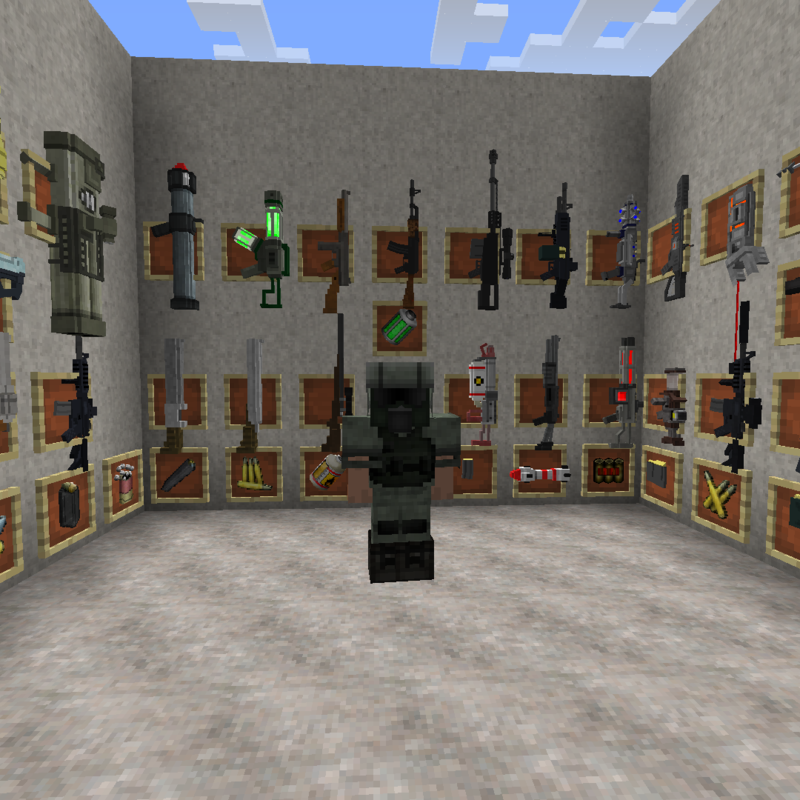 Only uncraftable at the moment are the alien blaster and the scatter beam rifle. OpenGL: AMD Radeon HD 7600M Series GL version 4.4.13084 Compatibility Profile Context 14.301.1001.0, ATI Technologies Inc.
You don't have installed the required mods. Chisel and CofhLib are required to start at least. With each update mod it is becoming more interesting. And what if worldgen enter the bandit's lair, and military bases warehouses with ammunition? But I will wait updates with railgun. If it would not get more interesting, I would do something wrong ;-). Nuclear stuff, uranium ore, enriched uranium, nuclear power cell. Jumppack, early game jetpack that increases jump height. Anti Gravity Device. endgame jetpack with creative flight. Alien bug nests now available, but they don't have much use yet. Machines can be set to private/public/friends, old machines are onowned and must be replaced to have an owner. Unowned machines are public and nobody can change the setting. If turrets permission are set to friends/private, non-friendly players will get attacked. (Friends will never get attacked, even with private setting, but they can't access the turret). Public turrets will not PvP anyone, only kill the bad monsters. Without FTBUtilities installed, all players are considered friendly and no PvP with turrets is possible. Worlspawn frequency is not configurable. indeed, repository for language support will be nice.